Your access to and use of www.kingston-estate.co.uk and associated aliases ("the Website"), is subject exclusively to these Terms and Conditions. You will not use the Website for any purpose that is unlawful or prohibited by these Terms and Conditions. By using the Website you are fully accepting the terms, conditions and disclaimers contained in this notice. If you do not accept these Terms and Conditions you must immediately stop using the Website. The Kingston Estate reserves the right to: 3.1 change or remove (temporarily or permanently) the Website or any part of it without notice and you confirm that The Kingston Estate shall not be liable to you for any such change or removal; and 3.2 change these Terms and Conditions at any time, and your continued use of the Website following any changes shall be deemed to be your acceptance of such change. 5.1 All copyright, trade marks and all other intellectual property rights in the Website and its content (including without limitation the Website design, text, graphics and all software and source codes connected with the Website) are owned by or licensed to The Kingston Estate or otherwise used by The Kingston Estate as permitted by law. 5.2 In accessing the Website you agree that you will access the content solely for your personal, non-commercial use. None of the content may be downloaded, copied, reproduced, transmitted, stored, sold or distributed without the prior written consent of the copyright holder. This excludes the downloading, copying and/or printing of pages of the Website for personal, non-commercial home use only. 6.1 The Website is provided on an "AS-IS" and "AS AVAILABLE" basis without any representation or endorsement made and without warranty of any kind whether express or implied, including but not limited to the implied warranties of satisfactory quality, fitness for a particular purpose, non-infringement, compatibility, security and accuracy. 6.2 To the extent permitted by law, The Kingston Estate will not be liable for any indirect or consequential loss or damage whatever (including without limitation loss of business, opportunity, data, profits) arising out of or in connection with the use of the Website. 6.3 The Kingston Estate makes no warranty that the functionality of the Website will be uninterrupted or error free, that defects will be corrected or that the Website or the server that makes it available are free of viruses or anything else which may be harmful or destructive. 6.4 Nothing in these Terms and Conditions shall be construed so as to exclude or limit the liability of The Kingston Estate for death or personal injury as a result of the negligence of The Kingston Estate or that of its employees or agents. You agree to indemnify and hold The Kingston Estate and its employees and agents harmless from and against all liabilities, legal fees, damages, losses, costs and other expenses in relation to any claims or actions brought against The Kingston Estate arising out of any breach by you of these Terms and Conditions or other liabilities arising out of your use of this Website. All online bookings are provisional until confirmed in writing. Cottage rentals commence at 1600 on the day of arrival and terminate at 1000 on the day of departure. Kingston Estate has a strictly no smoking policy in the cottages and all other communal facilities. Kingston Estate reserves the right to enter the property at all reasonable times for purposes of inspection or to carry out any necessary repairs or maintenance. Any of the on-site facilities may be withdrawn from use by Kingston Estate in the event of failure or If there is a Health & Safety risk. No compensation will be paid to the client. Clients are required to familiarise themselves with and observe the rules and procedures of Kingston Estate contained within the Information Book in each property. The number of persons occupying the property must not exceed the maximum permitted number for a cottage. Kingston Estate has a policy of accepting any pets. Please refer to cottages where pets are acceptable. Clients should take all reasonable care of the property and its contents and leave them in the same state of repair and condition as at the start of the rental. The client is required to notify Kingston Estate in the event of any breakages or damage caused to the property or contents. Kingston Estate reserve the right to demand full payment for such breakages or damage. Kingston Estate will consider any request to change dates or cottage choice after confirmation has been issued. It reserves the right to charge an administration fee of £30 plus VAT. Any cancellation for whatever reason should be made in writing to Kingston Estate. On receipt of cancellation Kingston Estate will seek to re-let the property for the period of the booking. 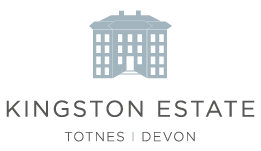 If Kingston Estate are successful in obtaining a booking for the whole period it shall refund all monies paid at the time of cancellation less a £30 (Plus VAT) administration fee per cottage. If Kingston Estate is only able to re-let the property for part of the period cancelled it shall refund an amount equal to the money paid less the rental for the period which is not re-let and less the administrative fee as detailed above. If Kingston Estate is unable to re-let the property for any period no refund will be due. Further, any outstanding balance due for the booking shall be deemed as payable. Kingston Estate recommends that clients should take out Holiday Insurance Cancellation cover as a precaution for unforeseen circumstances. For full details on our insurance policy please email info@kingston-estate.co.uk.